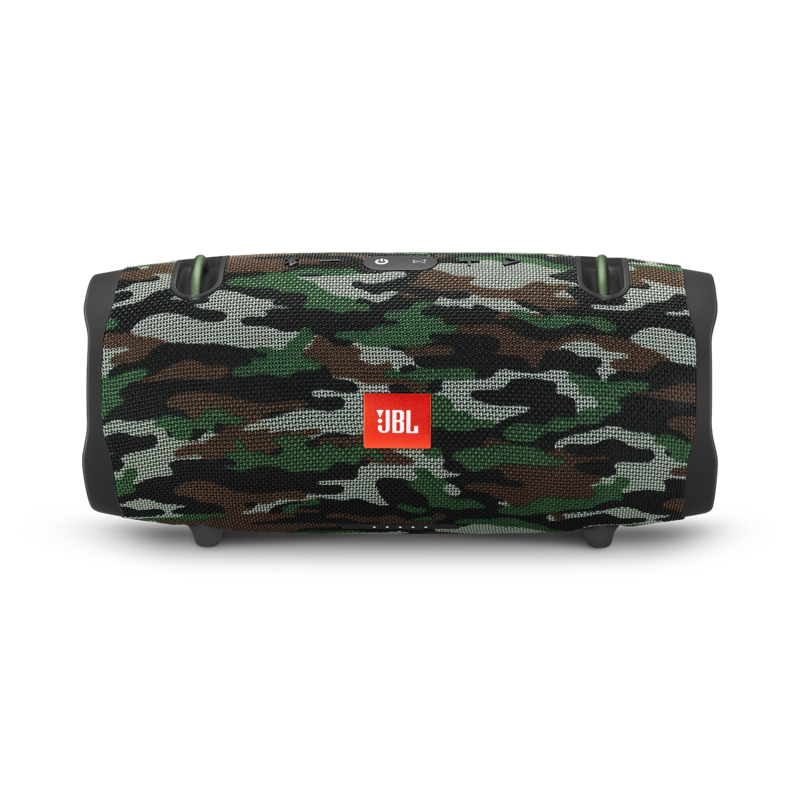 JBL Xtreme 2 wurde bewertet mit 4.3 von 5 von 244. 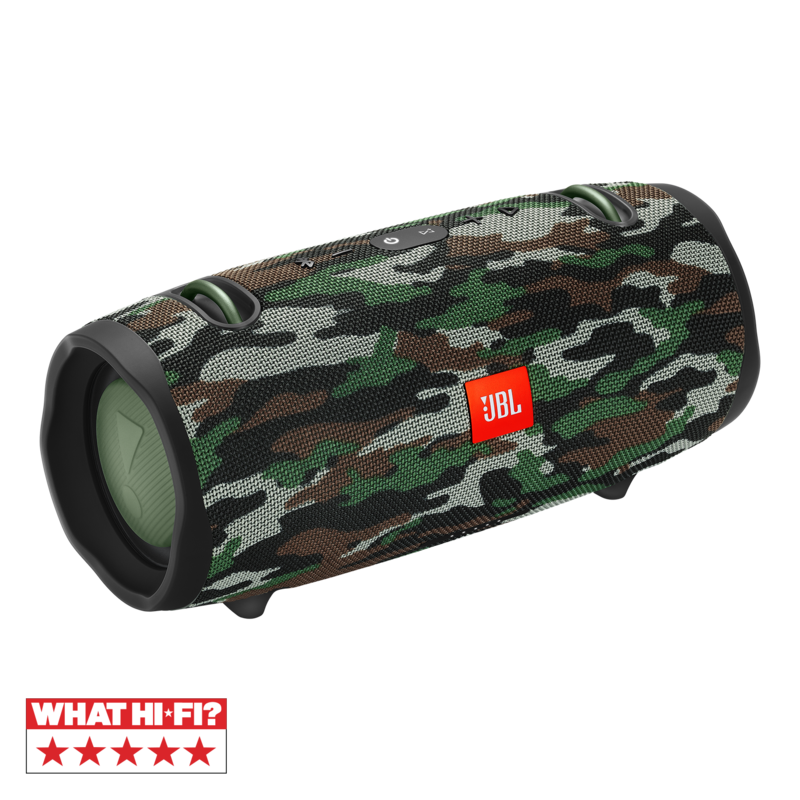 Rated 5 von 5 von badopinion aus Best JBL Bluetooth speaker to date! I've owned more speakers than I like to admit, many of them JBL and the Extreme 2 is a full featured, good sounding, do it all speaker. Bass has good loudness and depth with decent control and the highs sound very smooth and lifelike. 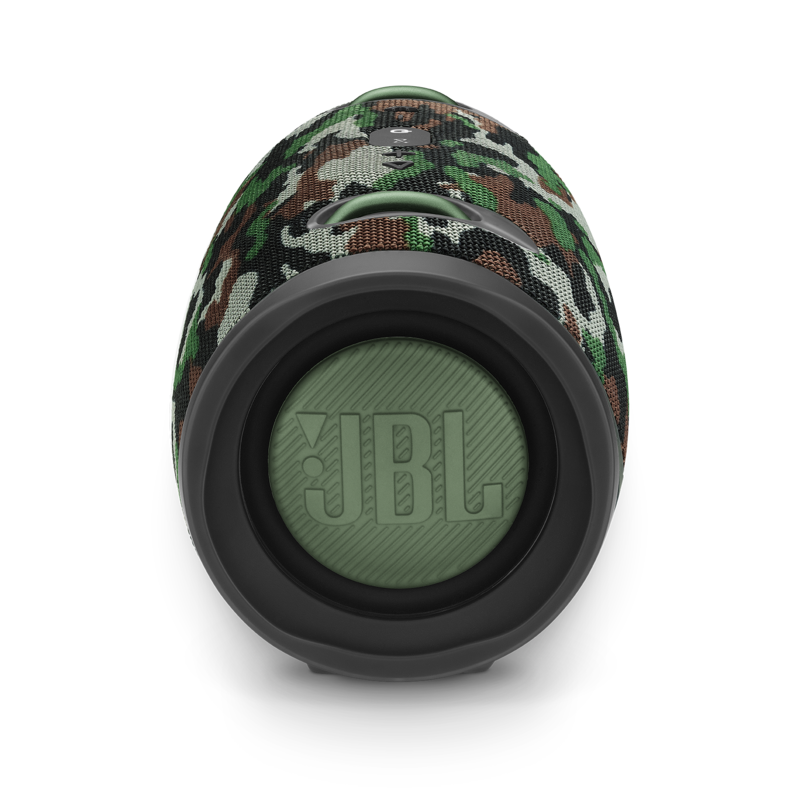 Midrange is a little relaxed but this is a JBL speaker we're talking about here (Smiley EQ). 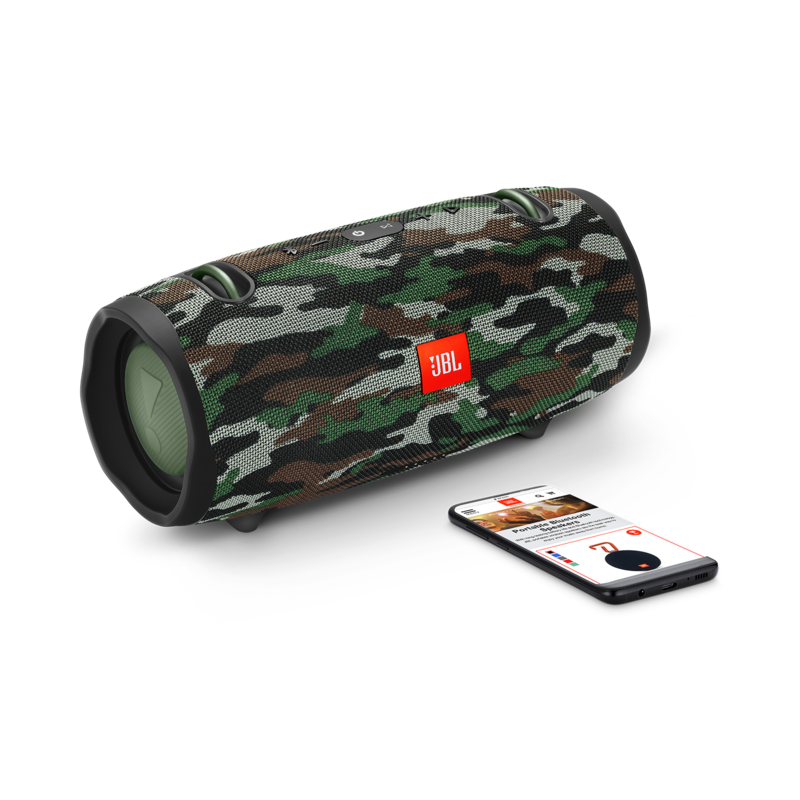 Top off the good sound with a rugged design, good battery life and great features (finally you can disable the audio prompts in the JBL app) and this gets a highly recommended from me. Only gripes is I wish it had a different handle. I fashioned a small piece of rope in place of the huge shoulder strap that is included. Rated 5 von 5 von Rachael F aus Nice Speaker I owned the Flip 3 until the battery gave out (3yrs). I decided to wait on replacing it until this speaker came out. I ordered and received the Extreme 2 very promptly. While it wasn't fully charged it had enough juice to used immediately. The sound did not disappoint, Rich full bass, crisp high notes and good volume. I took it camping and had to turn down the volume out of respect for the fellow campers in the camp ground. Did not test the water proofing nor do I ever really want to. Hopefully they put a decent battery in it so it will last and not fail to charge like so many other speakers do, but only time will tell on that. Rated 5 von 5 von Jaxe aus Great Speaker!! I bought this recently and i'm very happy that i did, great sound quality, great bass too, looks really great, big plus is that it very portable, also its very good that its waterproof, very handy for pool parties and the beach, also it once started rianing while i was using it so the the fact that it was waterproof helped a lot there too.Also its very very durable, this was very good because i droped it lots of times but it still plays perfectly.The battery is awesome lasts for a looong time without having to recharge it.Definitely a big upgrade the regular Xtreme. Overall a very good speaker would DEIFINITELY recomend to anyone. Rated 3 von 5 von Naruto27 aus Outdoor leider nicht der Kracher Ich habe die Box seit knapp einer Woche und ich muss sagen, ich bin leider ein wenig enttäuscht. Da ich sehr oft draussen bin und mit Freunden unterwegs bin, brauche ich eine hohe Lautstärke. Leider ist die Xtreme 2 dafür nicht gebaut worden. Die hört sich Indoor echt klasse an und auf jeden Fall besser als die 1. Aber sobald es rausgeht und man die Lautstärke höher als 70% macht, übersteuert die Box inkl. Bass. Klar übersteuerte die 1. Generation auch, aber die war bei 70% schon viel lauter als die Xtreme 2. Werde wahrscheinlich wieder auf die 1. umsteigen, falls kein Firmwareupdate dazukommen sollte, da ich ja nicht der einzige bin, dem das aufgefallen ist. Rated 5 von 5 von PacManDi aus Durch einige Recherchen kam ich auf den JBL Xtreme 2. Ich muss sagen das dies der beste bluetooth Lautsprecher ist, den ich je hatte. Die Verarbeitung ist robust, der Akku hält lange und die Soundqualität ist Klasse. Ich nutze die Box für meine Küche, wenn ich mit Freunden unterwegs bin oder verreise. Man ist bei der JBL Xtreme 2 sehr gut aufgehoben und hat garantiert immer guten Sound dabei. Weiter so JBL, ihr habt mich als Kunden sicher und ich bin schon die ganze Zeit am überlegen ob ich mir eine zweite Xtreme 2 kaufe und die dann Koppel. :D Ein wirklich gutes Hifi Produkt was ich jeden empfehlen kann der auf guten Sound steht. Rated 5 von 5 von Mr TVR aus Superb sound quality and endless bettery life! The title says it all. After two years of shear enjoyment from this excellent bit of kit I thought I should share just how good this bluetooth speaker really is... I’m not easily pleased, more often than not, i am not a happy man. However, every time I listen to music via the JBL Xtreme 2 I get a warm feeling inside. The sound is just so full of warmth and so clear that I can’t help feeling glad that I made this purchase. And after two solid days of music (and forgetting to recharge it overnight) I am further impressed by the excellent battery life ... i have nothing but praise for this great bit of kit! Rated 5 von 5 von Passi aus Spitze! Pro: -Höhen spritzig und klar -Mitten ausgesprochen körperhaft und farbig -Bassbereich sehr tiefgängig, warm und ausgewogen -Wasserdicht nach IPX7 -Praktischer Tragegurt -Super Design -Connect+ Neutral: -im Vergleich zum Vorgänger angeblich leiser, wobei ich dies bisher nicht direkt bemerken konnte Negativ: - Verbesserungsvorschläge: -Hinzufügen eines über die App einstellbaren Outdoor Modus, der ähnlich der Boombox einen HighBass-Boost aktiviert Anmerkung: -Der Xtreme 2 hat meinem Xtreme erster Generation permanent abgelöst und ich habe den Umstieg keineswegs bereut! 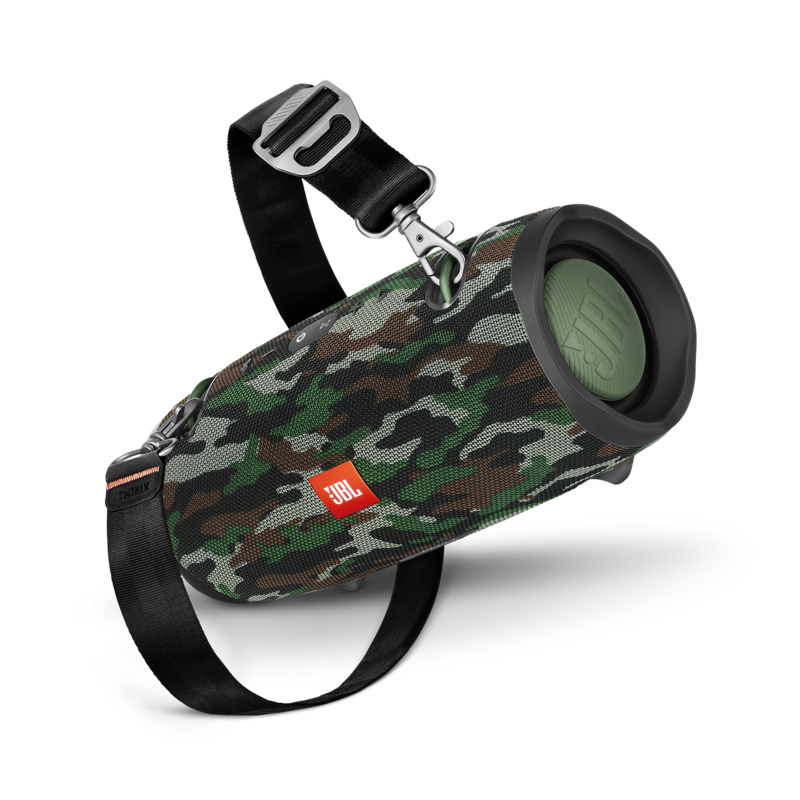 Rated 5 von 5 von Woods Rider aus Excellent Sound for it's size I love music. I surround myself in it. When I bought my Side x Side, everyone else spends $1000+ for stereos to run Bluetooth. I bought a Fire Extinguisher mount, mounted this to the underside of my roof above my rearview mirror. Works great! Strap it in the mount and I can ride all day listening to tunes and sounds amazing. Plenty loud over Can Am X3 engine noise. I can take it out anytime to charge it or to use it elsewhere. Amazing little speaker. CONS: I am disappointed that it doesn't charge also through 12v. That would have been helpful to keep it plugged in while riding. I wish there were grated covers on the ends or some type of cover. I don't need to see the mini sub flex. I'd rather have it protected. Onko 3,5mm Aux liitint&auml; ? je n'arrive pas &agrave; appairer mon samsung s10e. mon enceinte n'est pas visible ! Bonjour RicharrG Votre demande n&eacute;cessitant une intervention de nos sp&eacute;cialistes produits, nous vous invitons &agrave; contacter le Service Client&egrave;le Harman par t&eacute;l&eacute;phone, par mail ou par chat afin de recevoir une assistance personnalis&eacute;e. Vous trouverez toutes les informations de contact sur https://www.harmanaudio.fr/support-contact.html#ns. Merci. Unfortunately you can't play music through the USB as it's only used for charging. Hi. Does the Xtreme 2 have the same guitar chord startup and shutdown sound? Yes, But you can disable it with the JBL Connect App on Google Play...Not really if its on the App Store. Hej.&nbsp;Jeg har 2 stk. Xtreme 2. N&aring;r jeg t&aelig;nder begge og klikker p&aring; Connect+ knappen, spiller de i party mode. Jeg skal &aring;bne JBL Connect appen og v&aelig;lge Stereo mode, f&oslash;r de spiller i stereo. Kan jeg f&aring; dem til at starte i Stereo mode som default? Hov, lige en ting til: du kan godt s&aelig;tte de to h&oslash;jttalere op p&aring; den m&aring;de, hvis du bruger de analoge indgange. Det kr&aelig;ver at du anskaffer en splitter, som kan dele et signal op i en venstre og en h&oslash;jre ledning, og der skal v&aelig;re forbindelse til begge kanaler i Xtreme 2 h&oslash;jttalerne, dvs at hvert monosignal skal ende i et stereo-stik, for at alle enheder i h&oslash;jttalerne vil spille. How do you know when the unit is fully charged? what is the difference between the light being blue vs. white? Please note that there are three different lighting patterns for JBL Xtreme and Xtreme 2 that indicate a fully charged battery. These patterns depend on software in the speaker, and all are correctly indicating full charge. (This cannot be changed by updating.) 1. The five LEDs light up, first one, then two, three, four and five, with the topmost one blinking, and the lower ones lighting constantly. When charging is complete, all LEDs go out. 2. The five LEDs light up, like above. When charging is complete, all five LEDs light constantly. 3. The five LEDs light up, like above. The fifth LED keeps on blinking, with the other ones lighting constantly. When you remove power, all five LEDs light constantly. Hallo, kann dieser Lautsprecher auch ohne Probleme im Netzbetrieb genutzt werden? Vielen Dank f&uuml;r die Anfrage. Sie k&ouml;nnen ohne Bedenken die Xtreme 2 am Strom angeschlossen lassen. Ein Schutzmechanismus verhindert ein &uuml;berladen des Akkus. Vielen Dank. 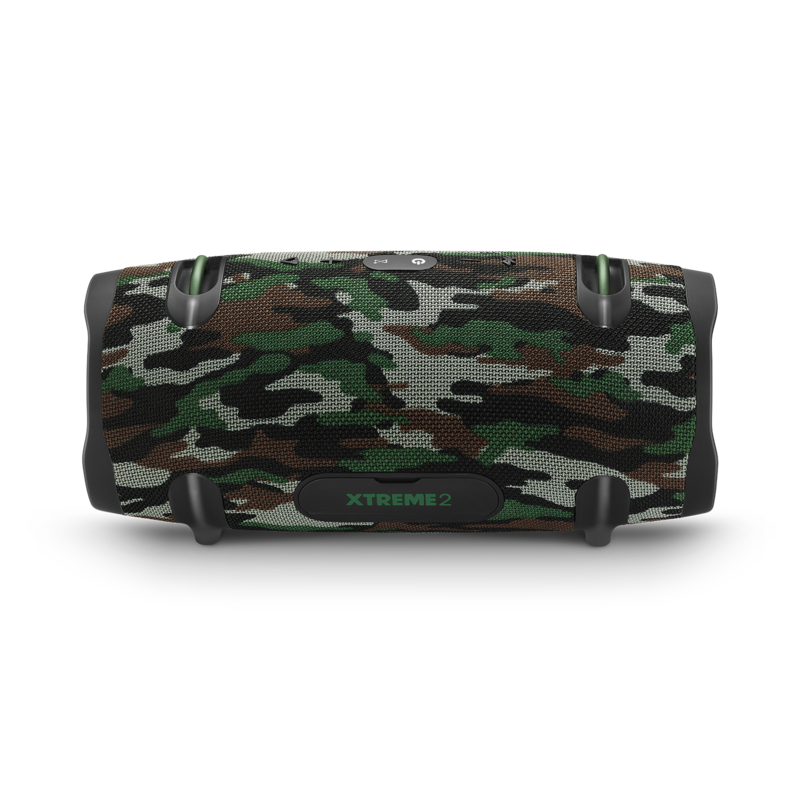 The Xtreme 2 is a portable speaker and the ohms rating isn't necessary.